Loving Lee Jeans’ denim innovation! 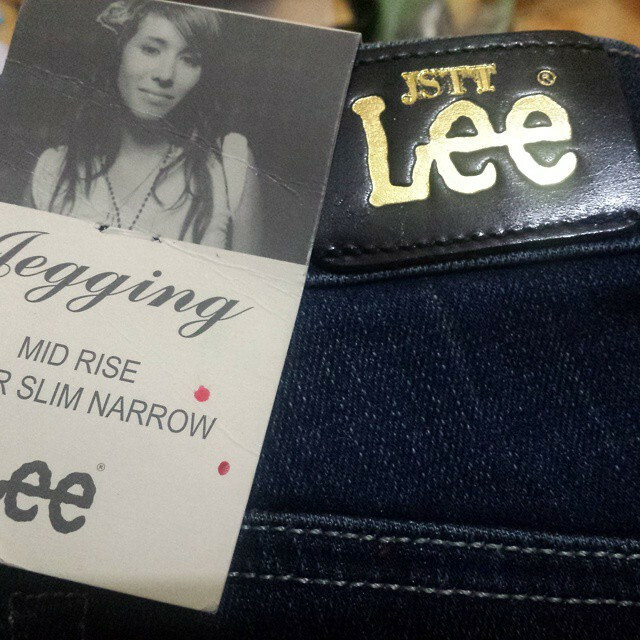 Lee Jeans, a clothing brand with is very famous for their cool ideas in jeans industry. Their latest one is “Denim Refreshment“, a new way to dress up your jeans in Do-it-Yourself way. 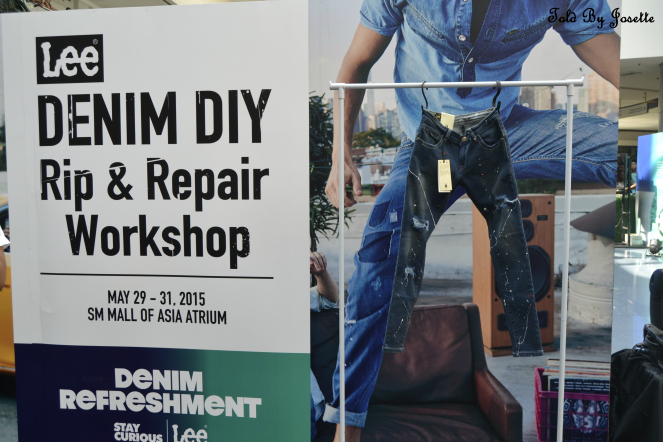 I was assigned to cover this event called Lee Denim Rip and Repair Workshop, May 29, 2015 at SM Mall of Asia, Atrium. It was actually a 3-day workshop and that day marks as the first day of it. Before I got my awesome and cool pair of jeans, I went to 4 stations where my jeans was improved and innovated. So I will show you what stations I am saying. The first station is the RIPPING station, where you can distress, slash and grind your jeans and choose between heavy and light rip. It was actually an easy step and you can do it at your home using tools you can tend to take for granted, such as steel brush, cheese grater and many other alternatives. You yourself can actually try ripping your own jeans. They will allow you to experiment on your own and put any rip design you want. 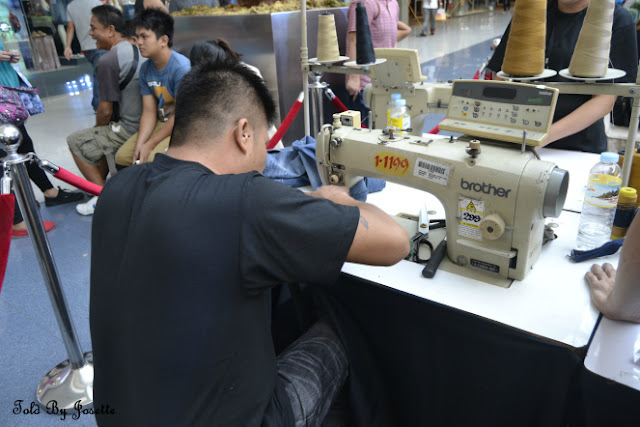 The next one is the REPAIR station where you can do any corrections, alterations and patchworks to make your jeans suit you well. The third station is the PAINT station. 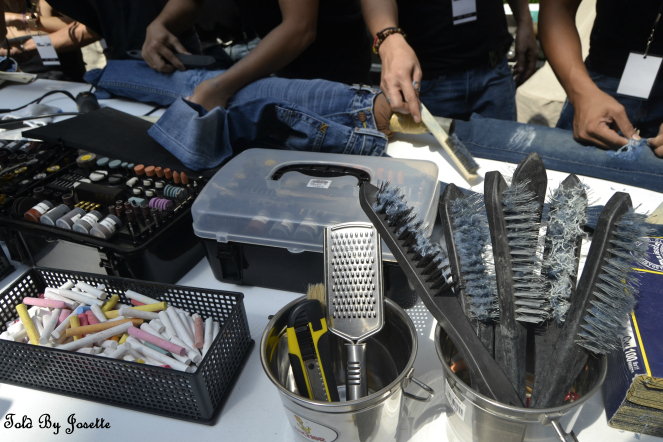 This was also a memorable experience to paint your own jeans. You can choose two out of four colors, which were red, black, white and yellow. They used easy-dry paint so you it’s not messy as you think. Just a few minutes and it’s okay for the next station. 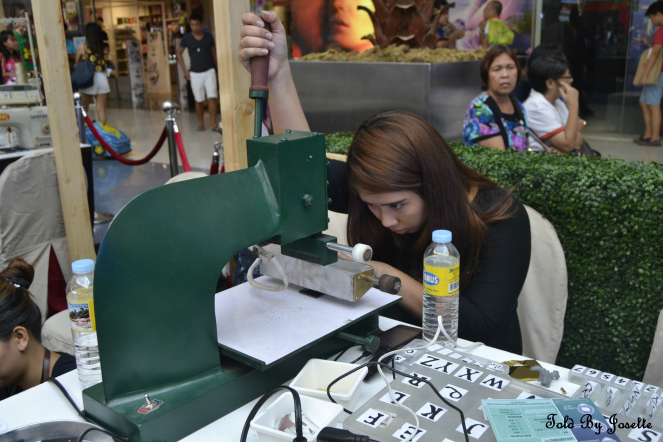 And for the last station, MONOGRAMMING station. Here is the best part. You can put your own acronym or letters you preferred in your output. Mine, I put the consonants of my name because my whole name won’t fit. They only allowed 5 letters maximum. Now you can say that your jeans is really YOUR jeans because you have this cool monogram in it. AND HERE’S MY NEW RIPPED AND REPAIRED JEANS! It was a really fun experience adopting Lee Jeans newest innovation. Having the chance to have control with the designs and changes with your jeans is way better than just buying it already made. I am hoping this is not the last time Lee will organize workshop like this in the future so that other jeans lovers can experience the greatness of their ideas.